When it comes to men’s hairstyles, everything old is new again. With series like Mad Men influencing fashion trends, more men are following the lead of Manhattan ad execs like Don Draper who likely spent as much time slicking their hair back as his various wives did teasing their bouffant. Typically, most styling products work best on dry or almost dry hair. 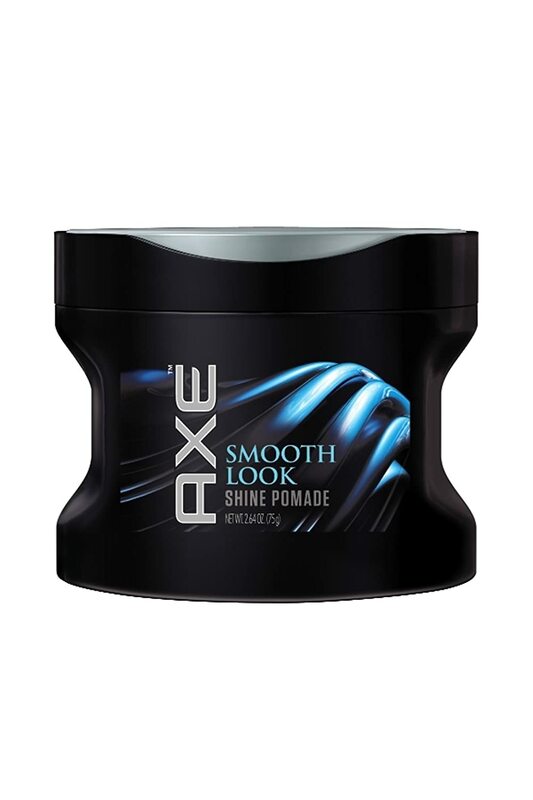 However, you’ll want to wet you hair for this look because the pomade will lock in the moisture. After washing your hair, take a finger tip amount of the pomade and distribute it evenly through the hair from front to back and back to front (you can always use more product, if necessary). Using a comb, create a side part (which is a key to this look) in a straight line from the front of the head to the crown. Take another fingertip amount of the shine pomade, rub it vigorously between your hands, and lightly go over the finished style to ensure it stays in place all day whether you’re cutting deals in the boardroom or sipping martinis with clients.